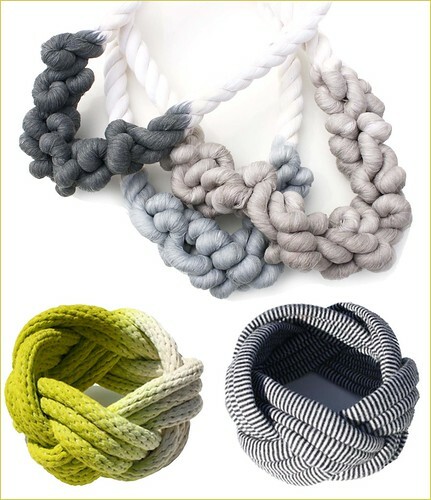 I love knotty rope jewelry but Tanya Aguiniga takes my obsession a step further by adding color (dipping). I want all of these! How pretty – I am just loving anything with a nautical twist right now! me too anna and I love how these have dipped color to add a twist (proverbial and literal) on a classic!